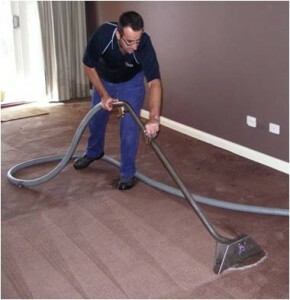 Our team of restorers has combined experience of over 40 years in flooded carpet drying, water damaged carpet cleaning and water damage restoration across Melbourne. Our Water Damage Restoration Technicians are certified by the Institute of Inspection, Cleaning and Restoration and we follow their global standards in all the work we do. Water damaged carpet provides an attractive breeding ground for mould spores to grow and spread. The longer your carpet is wet, and the more humid the air in your home or business, the higher the probability that you will notice that unbearable smell of damp, moist carpet and will start to see the beginnings of mould growth. Wet carpet that results from floods, burst pipes, washing machine, dishwasher, bath overflows and the like, tends to saturate large areas of water and requires specialised equipment and processes to remove the water, dry the carpet and treat it for protection against mould. 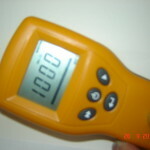 If your carpet is left wet for more than 24-48hours you are very likely to suffer from mould damage. Because water damage spreads quickly and can cause secondary damage of mould and mildew which are not immediately visible, we consider flooded an water damaged carpet drying and cleaning to be critical in nature and respond with our 24×7 emergency relief service; where a qualified Water Damage Restoration Technician will aim to commence the assessment and make safe program within one hour from your call across any part of Melbourne. Water Damaged Carpet Assessment | We review and categorise the source of water damage and the extent of the water damage using specialised instruments and monitors to guide our assessments. We determine how saturated your carpets, underlay and subfloor are and also if the water damage has started to wick up to your walls. Define Scope Of Works | We then define the water extraction, drying, cleaning and restoration approach that will be used and any other restoration work that will need to be undertaken. At this stage we can provide fairly accurate outlines of estimated costs and the time required to dry your carpets and to address any other water damage observed in your home. We will let you know what is restorable to its pre loss condition and if you will be able to save your carpet and underlay or if you will need to have it removed and replaced. Water Extraction | We use specialised water extraction vacuum equipment with a significant amount of airflow and vacuum presser to lift the maximum amount of standing water possible. By removing excess water we can significantly reduce secondary damage and positively affect the amount of drying time needed to bring the building and its contents to an equilibrium moisture content. Wet Carpet Drying | Once the excess water has been removed from your carpets, we use industrial strength Air Movers to blow air onto your wet carpets, underlay and subfloor to enable the complete drying of these surfaces. 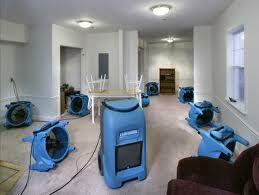 We also use Dehumidifiers to absorb the moisture that is released into the air during the drying process. If this moisture is not removed it will attach to other surfaces in your home or business causing secondary damage of mould and mildew. If we think it necessary, we will lift your wet carpet and wet underlay to maximise drying of these and also the affected subfloor. At the end of the drying process will relay any underlay or carpet we lift as part of the water damaged carpet restoration process. Ongoing Monitoring | We monitor the restoration program from carpet drying right through to the carpet sanitation and where required, carpet steam cleaning, carpet removal and carpet relaying. We keep our clients informed on our progress and report any issues upfront with a detailed plan on how these will be managed.